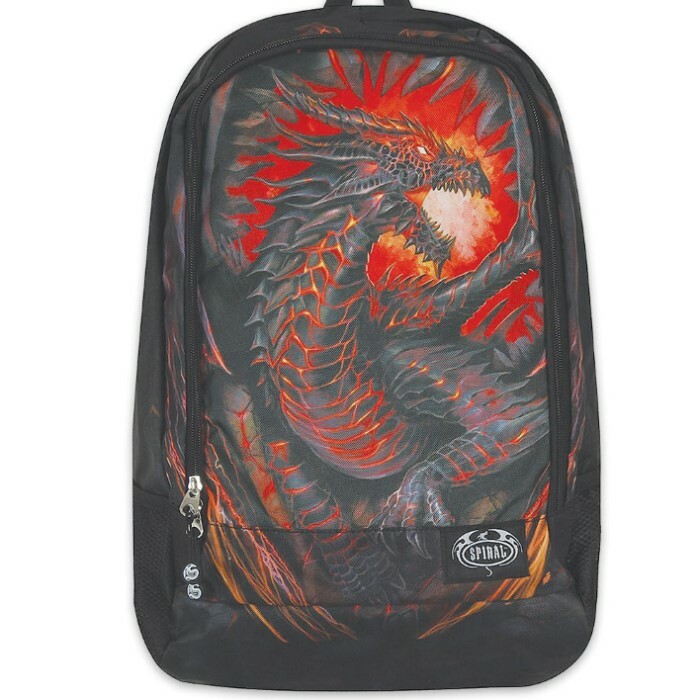 Released from the scorching lava of its eternal rest, with the fire of a thousand millenniums burning in its eyes, this dragon is out for revenge. 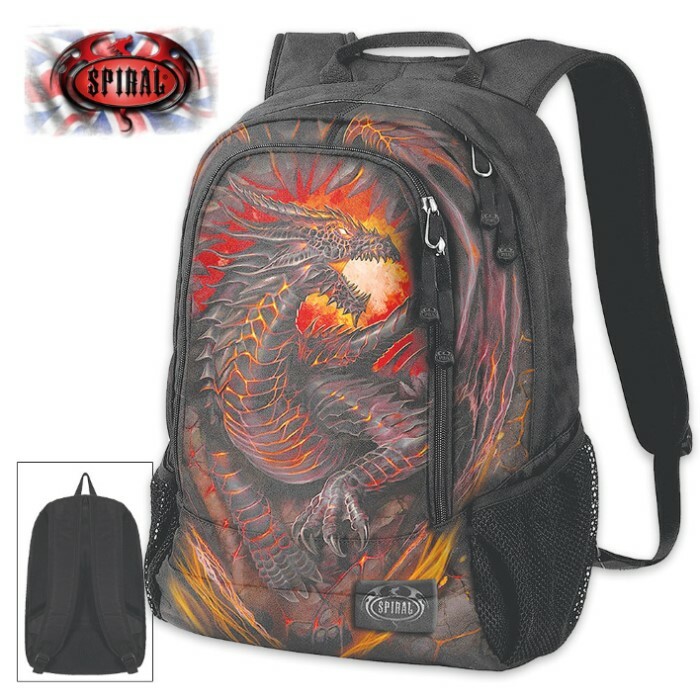 This black backpack has an all-over fierce and fiery feel and is made of high quality 600D Oxford cloth. 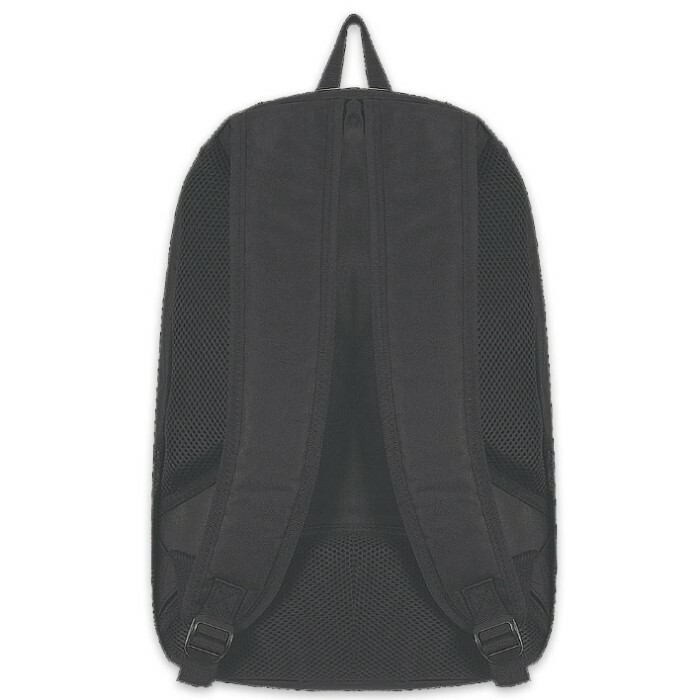 It features a laptop pocket, using breathable padding, and also features a keyholder.